Dreena Burton, Let Them Eat Vegan! Dreena Burton is the author of bestselling vegan cookbooks and an at-home mom to three girls. She has been vegan since ’95, when little was known about eating and cooking vegan. Not long after graduating with her business degree and working in the marketing field, Dreena followed her true passion of writing recipes and cookbooks. The Everyday Vegan was her first project, following her father-in-law’s heart attack. When the cardiologist strongly advised a low-fat plant-based diet to her husband’s parents to reverse heart disease, Dreena knew there was information needing to be shared – most importantly, how and what to eat as a vegan. After having her first child, she wrote Vive le Vegan!, which represented her journey as a mom, and more wholesome, easy recipes. Then came eat, drink & be vegan, a celebratory vegan cookbook. The Everyday Vegan became known for its lower fat and ‘everyday’ recipes. Vive le Vegan became known for its healthy baked goods and easy but tasty family-fare. Eat, drink & be vegan became known for its entire chapter on hummus, as well as inventive flavor combinations and a mix of wheat-free and gluten-free recipes. Dreena has also written for VegNews and alive magazines, True/Slant, and has been featured in other publications including First magazine. She has won several blog awards including VegNews VegBloggy and Vancouver’s Ultimate Mom Blog. Dreena starred on the Everyday Dish cooking dvd in 2007, and her “Homestyle Chocolate Chip” video from that dvd has become a signature cookie and has received over 200,000 YouTube views. More recently, Dreena’s “Frosted B-raw-nies” recipe won the Everyday Health Gluten-Free Recipe Contest (February 2011). Dreena’s newest book is “Let Them Eat Vegan: 200 Deliciously Satisfying Plant-Powered Recipes for the Whole Family” This book represents an evolution in vegan cooking, with an emphasis on whole foods. 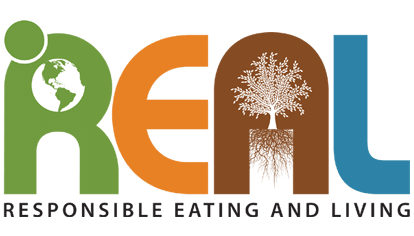 Dreena utilizes her experience cooking with the ‘vegan basics’ – beans, nuts, seeds, whole-grains and whole-grain products, vegetables and fruits – to bring delicious, wholesome vegan meals, snacks, and treats to the table for everyday plant-powered eating. You won’t find any ‘white processed stuff’ in Dreena’s recipes… no white flour, no white sugar, and also no vegan substitutes like vegan cream cheese, sour cream, or vegan meat. And, these recipes are wheat-free and also largely gluten-free, and a sprinkling of raw delights for good measure. Let Them Eat Vegan dishes up plant-powered specialties for everyone! 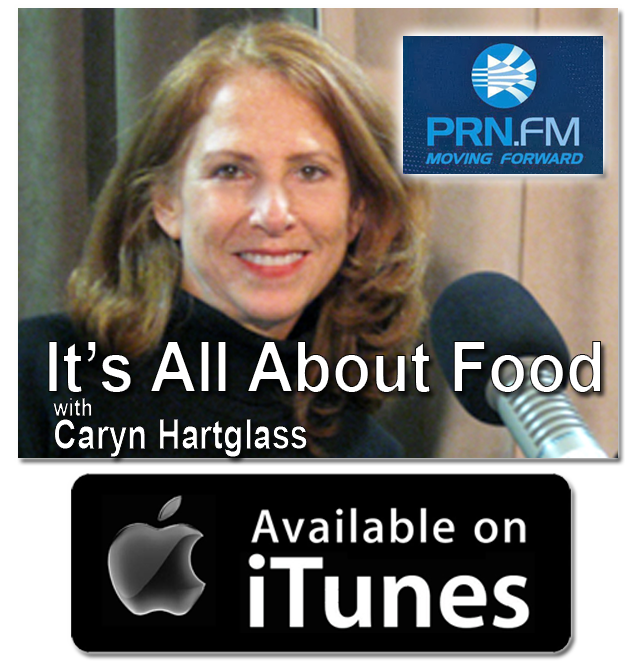 Caryn Hartglass: Hello, I’m Caryn Hartglass, and you’re listening to It’s All About Food. We were just talking about the changes that have gone on over the last two decades, things that are making it easier for people to transition to a healthier plant-based diet: all the schools, books, social networking, and online resources; it’s really wonderful. But here’s something that I didn’t say that I just kind of been thinking about over the last few minutes and maybe it was talking about those leaf-cutter ants, I don’t know. But I think there’s some sort of global consciousness and as we learn things, whether we read that information or talk about it with other people, I think, I want to think we’re all moving forward together along some timeline or thought line where we’re getting to a better place. I’ll clarify that a little bit more in a little bit. But right now I want to introduce my next guest, Deena Burton, who has written a brand new cookbook, Let Them Eat Vegan, and she is the author of the best-selling vegan cookbooks and an at-home mom to three girls. She’s been vegan since 1995 when little was known about eating and cooking vegan. Not long after graduating with her Business degree and working in the marketing field, she followed her true passion of writing recipes and cookbooks. And we’re going to learn a lot more about Dreena and find out all about her blog sites and websites, and books, and recipes. Dreena Burton: Hi, Caryn! Thank you for having me. Caryn Hartglass: Yeah. I can’t believe I haven’t talked or met you before. But just like JC Corcoran was talking about a little earlier we used to think we knew all the vegans. And now there’s just so many of us and it’s beautiful. Dreena Burton: It’s grown a lot in the last few years, especially. Caryn Hartglass: Yeah. So that must be good for the cookbook world. Dreena Burton: I think so. I noticed that a lot of people that contact me and use my book, they’re not always completely vegan but doing their best or transitioning, or just making their way to that plant-based diet so it’s become far more accepted to even have that vegan cookbook in your kitchen. Caryn Hartglass: That’s right. It’s not a scary, ugly word anymore. Caryn Hartglass: Yeah. So you’re a mom. You have three kids and one of them is a little baby, right? Dreena Burton: Yeah. Well, she’s my baby. She just turned 3. Caryn Hartglass: Oh, she’s a big girl! Dreena Burton: Yeah. She’ll always be my baby. I have three girls: 11, 7, and 3. Dreena Burton: It’s funny how often, like you say, we have a lot of similar experiences, especially if you have been eating a vegan diet for a little while. And I agree; I think that people want to see what is so beautiful and exciting about food and try to make it almost an art at times and at the same time, like you said, sometimes the simplest meal of brown rice and some veggies with a quick sauce is just what you need that night; that is exactly what your body wants and also maybe all you really have the mental energy to prepare. But there is something so exciting and just fabulous about taking interesting groups of flavors and taking a meal and making it particularly special, maybe just with sauce or with just a technique and just to show that this food is pretty darn exciting. I think that’s why it’s reaching that level is because we want to communicate that it’s not that boring meal that people think it is. Caryn Hartglass: Yeah. Well, that’s where the trend is going, that’s where the excitement is. The color and variety is in plants; it’s not in flesh. Dreena Burton: That’s so true. Caryn Hartglass: It just is. There’s just so many varieties of all kinds of crazy plant foods out there and so many different things we can do with them and it’s really, really fun. We certainly are seeing that in your most recent cookbook and it’s different from your previous ones. I have the Eat, Drink, and Be Vegan cookbook also; very nice. You also mentioned in your introduction that eating vegan is so much more than just eating animal food. Can we talk about that a little bit? Dreena Burton: Absolutely. I think if … Often people are drawn to veganism for different reasons. I was brought to eating vegan from a health perspective and a lot of people come from an ethical perspective. But I think if you are only concerned about the ethics you can’t serve those ethics very well unless you’re nourished well. And it’s very … I don’t think that people can stick with eating vegan long if they’re not eating a really wholesome, whole foods diet; it’s just not going to serve their body well. I sometimes hear from people that “Oh, this is vegan or that’s vegan” but it’s pure junk. And what is the point of eating it when it’s basically garbage to your system? It doesn’t matter it it’s labeled vegan or anything else. So it’s far more than just saying that it’s vegan; we need to look at what’s going to be healthy for us and good for the planet as well. That will really do so much more to promote veganism when you can be the best master of your body and be healthy. Caryn Hartglass: I’m thinking of some analogies that are just rushing into my head right now. And I’m thinking, just like in the women’s movement women had to be better than men in certain areas in order to be hired. Just like with people of color, they needed to be better in their field in order to be hired. And so as vegans we need to know more about nutrition and a variety of other things because, especially years ago but it still happens today, people really harass you. And most people know nothing about nutrition and what they learn about nutrition is from advertising and very little else. So as vegans, in order to defend ourselves, we need to be smarter about food. Caryn Hartglass: So are we. We’re all like little quasi-dieticians. We have to be. Dreena Burton: Yeah. I know I have absorbed a lot of knowledge over the years. I’m not a nutritionist or served in that capacity but I certainly know a lot about food and what’s nourishing and basic components of what we need to be healthy, far more probably than a lot of parents and yet I’m often the one looked at as a parent: “How are you meeting the need for your child?” I don’t question whether another parent is getting fiber for their child, or Vitamin C, or all antioxidants they need but yet I know that someone would be quick to ask me, “Where are you getting the protein?” of course. Caryn Hartglass: Yeah. And there’s so many different responses to that favorite question. But people just assume that they’re getting the right food eating whatever diet it is they’ve been raised eating and yet … we know today that standard American diet is life-threatening; it’s not life-promoting. Dreena Burton: Yes. I think people find it difficult to question their diet or either … I think it’s sort of like a two-pronged thing: first, they maybe don’t want to question it because it’s hard to look at because it involves a big commitment to change. So sometimes at the initial awareness, do they know? And once they have that information, then are they actually ready to do something about it because it takes some change. Also our food, the way we look at food and our connection to food, it’s so rooted in how we grew up and our traditions, and our memories. And sometimes we just have to let some of that go and find a new path for ourselves and our families. Caryn Hartglass: Now, you probably experienced this … hmmm, I’m not exactly sure how to phrase this one. But I think vegans, although we’re a very loving, non- judgmental, compassionate group of people, we can be really critical when it comes to ingredients and food because we’ve become so knowledgeable about diet and as time has gone on many vegans … not all though; there are junk food vegans but many are talking more about whole grains and wheat-free and gluten-free, and soy: yes or no. And everybody’s got their “thing” and so when we’re offering recipes to reach the lowest common denominator it’s a little challenging. Dreena Burton: Take a gulp of air. And so yeah, those things continually come up. When I was first started writing recipes I never really thought too much about that. I just thought about them being vegan and yummy and now it’s, “Okay, can I modify this to make it acceptable for someone who cannot eat gluten?” because I want them to be. I want people to be able to enjoy the recipe. So I’ll work in the kitchen to try and tweak it. Sometimes it’s easier than other times; sometimes it takes quite a few tests to get that right but I do want to make it out quite open and approachable for people, that they can try just about any recipe in there. I do lots of soy-free options and give people options: here’s one option with nuts and no soy and here’s an option with soy and no nuts. So it’s tricky. There’s a lot of that now. And perhaps there’s some allergies but I think it’s also people trying to just eat a little cleaner and healthier. Caryn Hartglass: Well I know, myself, I want to please everyone. I know where I got that from. I know my mom is just like that; she always wants to please everyone and make great food for everyone. Dreena Burton: Were we separated at birth? Sounds familiar. Caryn Hartglass: so as a vegan I always wanted to veganize everything and so that meant no dairy, no eggs, of course, no honey. And that wasn’t that challenging although it took time and learning from different people like yourself and other people; we all kind of moved forward. And then the challenges were added: my niece was diagnosed with celiac disease two years ago when she was 4 years-old and so I started working on not using wheat. Every time I eliminate something I find my repertoire expands. Dreena Burton: Uh-huh. That’s so true. It’s a real growth in cooking and all of a sudden it’s the whole “necessity is the mother of invention,” right? Once you can’t use something you start to think outside the box of how you can make that component of your meal another way, or make that treat or dessert or snack, whatever it is. You just have to think differently. I did myself when one of our daughters was born and I had to do a little bit of food elimination because she was reacting; when I was breastfeeding she was having some reactions. And all of a sudden I realized, “Okay, if I can’t use all of these things, what do I now do?” So even in those times when it seems so desperate because all of your favorite things are gone, you start to expand and learn new things. And all of a sudden you have, like you said, a new repertoire. Caryn Hartglass: Right. May I ask what did you discover what it was that was disturbing her? Dreena Burton: She … It’s interesting about the things we tend to have sensitivities to. It’s usually our favorite things, right? It’s almost the foods that we’re overdoing. And I had it with two of my daughters. The first on, she was having some sensitivities with citrus and strawberries and wheat at the time. It’s very strange because you don’t always think that things like citrus or strawberries actually cause reactions but at certain points they do. And then with our third daughter I did as well. I had to cut out quite a bit; it was a little bit restrictive for a while. But again, it was some of the things that I was eating a lot at the end of my pregnancy and loving. Citrus again came up. I remember I was eating tahini sauce, loaded with just lemon juice. And I would just eat that with some organic tortilla chips and I would just lap it up. Caryn Hartglass: Oh, I love that. Dreena Burton: It was the best thing ever! Caryn Hartglass: Tahini-lemon dressing on anything. Dreena Burton: Right, right. So it was just a period of time; it seemed like years but it was really about 5 or 6 weeks and then I could start to bring back things that I was eating far too regularly. It worked out but it definitely put me to the task. Caryn Hartglass: It’s just interesting the way children will test you. Dreena Burton: Oh, it is. Caryn Hartglass: Whether they’re aware of it or not, in the womb or out. Caryn Hartglass: Okay, so tell me about raising children on healthy food because this is probably the number one problem we’re facing today in the United States. 1 in 3 children now are obese and it’s affecting their performance in school. It’s certainly affecting health and healthcare. Parents don’t know how to feed their children. Dreena Burton: It’s so shocking and saddening and yet in the past few months, you’ve probably been aware as well, some of the media stories coming out about is vegan parenting safe? Can we meet our needs? There’s so much information out there now to support that it is not just safe but it is healthy. It helps fend off diseases and actually promotes their health rather than put them at risk for illnesses and diseases and allergies and all kinds of things a lot of children are going around just feeling not well and maybe not diagnosed with something. And our girls, they have a real appreciation and I say it a lot and it sounds so hokey but they really appreciate good food. They really appreciate real food and good food. They know the difference between something that’s made with flavors and coloring and something that’s made that’s real. We have been out at times and they’ve been offered popsicles and things that are, of course, vegan but they’re crap. And they will eat them and they’ll say, “It tastes funny” and I’ll say, “Well, yeah because it has colors in it and it has flavors and you’re not used to those things so toss it out and I will give you something at home.” And they always go for it because they realize that it just doesn’t taste very good. And some of their very favorite meals are the most wholesome things and they just have appreciation for it. I’m not saying they eat everything because my kids don’t eat all of the vegetables I would like them to. They have their own preferences and dislikes but they eat really well and they are better for it. They are healthy and full of energy. Caryn Hartglass: Well, we can just take a 2-second moment to scream every time we hear people focusing on vegan diet, that it isn’t health for children, because we’re definitely are having this crazy epidemic today, with children not eating well. And the focus is in the wrong place. The vegans are not the problem. Dreena Burton: Yes. And vegan parents we tend to be the ones to educate ourselves. Of course, we are so concerned about doing the right thing for our child. When you have a child, when you look at that baby, you know that you are the one responsible for its well being and bringing that child up to be a good person, a healthy person and helping them make good decisions, you want to do everything you can to do the right thing by that child. So as a vegan, I may know for my self, especially doing this 11 years ago with our first daughter, I read and researched and did everything I could until I felt completely comfortable with what I was doing. But there was nothing that told me that it was not a good thing to do. Now, there’s that much more support for feeding our children on this wholesome diet. And yet the challenges are still out there. Caryn Hartglass: The other thing is, I talked about this on another show recently because there have been some books coming out about raising children like children are raised in France, with an education about food. I’m not saying they do everything right in France, they certainly don’t; I lived there for 4 years. And just like anywhere, they’ve got some great things going on and some bad things going on. But one thing they believe that’s important is that children, from day 1, should be educated about food, how to eat properly, the importance of mealtime and not to be distracted with other things, and quality food. We don’t give our kids credit that they should start with this information just like other things we teach our children from very young. Somehow we lost this skill or this need in our culture to educate about food and as a result, most adults don’t know anything about food so what can they teach their children? Dreena Burton: Well, that I think where it starts really, and that’s the trouble. I think parents sometimes don’t … I know it’s scary at times for parents to look at making the changes but it really is harder to look at than actually doing it. It’s easier to do it than you’re thinking in your head because the whole motion of changing your diet and making that transition from the meat and dairy sort of centric to eating a plant-based diet, it does look daunting but it really is easier than people think. I hear that from people all the time: “Oh, I thought it was going to be much harder.” But as a parent I can see that it’s somewhat scary for them and so it really easier to stay in that mold and not want your child to know that much about nutrition because the change could be difficult. So there’s education that needs to go to the parents before, obviously, the children can get anywhere. Sometimes the kids come home wanting to change the parents and they’re very defensive about it because the change is maybe a little different than they want to make. Caryn Hartglass: It’s change. It’s change; that’s all it was. It’s that scary word: change. We’re comfortable, fat and comfortable, and sick. And then there’s the other issue I was talking to Ruby Roth recently. I don’t know if you’ve seen her two children’s books. Dreena Burton: I know about … I saw lots about her recent book, the Vegan is Love book. 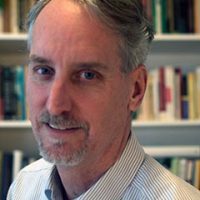 Caryn Hartglass: And it’s another piece of this thing about not educating our children about food. So okay, maybe we don’t have to give them the gory details about what’s going on with animals but people should know where their foods comes form and we don’t. Hamburgers don’t grow on hamburger patches. Caryn Hartglass: And I remember one child asking him at 5 or 6 years old where do apples came from and he said, “From Publix,” the store, not realizing it was a tree. Caryn Hartglass: And so we need to be educated more about food. You’re inspiring people to do that. Let’s just take a look at this cookbook. This is your 4th cookbook and was there anything different, your approach, or putting this together since you’ve done three before? Dreena Burton: Yeah, with this one … I’ve always cooked from a whole foods perspective. When I became vegan there wasn’t a lot of those substitutes on the market because it just wasn’t; it wasn’t the time and place. I became vegan before … when I was vegan there was soymilk on the market and that was it; no almond milk, no coconut milk or any of these extras. There certainly weren’t things like faux meats, the vegan meats, or the vegan cheeses, sour creams, none of that. So my cooking began without those products and when they came on to the market I never really started to use them; there were a few that I played around with. Then when I came to writing this book I really wanted to show people that you don’t need to use them and sure, you can have them on occasion for treats or fun, whatever, but that we can cook delicious things, creamy sauces, decadent desserts, lots of things without having to use the substitutes and also from a whole foods perspective. Even all of the desserts in the book, like cookies and cakes, I used whole grain flours and keep they wheat-free and gluten-free as well. And just to show people that it can be done and things don’t have to use as much sugar as you think or as much oil. So it doesn’t have to be this ultimate, crazy, all-out decadent. Caryn Hartglass: Hannah Kaminski, right. I’ve spoken with her; really great. We just have a few seconds left so what are the websites people should go to learn more about you and your books? Dreena Burton: Oh, okay great. My website is plantpoweredkitchen.com and then I’m also on Facebook: Dreena Burton and Twitter: DreenaBurton. Caryn Hartglass: Okay, thank you for joining me today on It’s All About Food. I really enjoyed it and I’m going to dig in more with this cookbook, Let Them Eat Vegan. It looks really yummy. Dreena Burton: Thank you, Caryn. Caryn Hartglass: Okay. I’m Caryn Hartglass. You’ve been listening to It’s All About Food. Thank you so much for joining me. 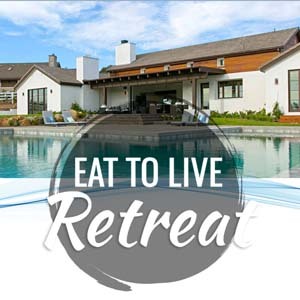 And remember, responsibleeatingandliving.com, that’s your source for all good plant food lifestyle things. And have a delicious week.